Web Script Lab’s Ajax Loading GIF Generator options for it’s loading icon are background and foreground color and three predefined speed which are normal, fast and slow. Badges are one of the characteristics of Web 2.0. I have a collection of some online services allow you to create them without using any adding other software. 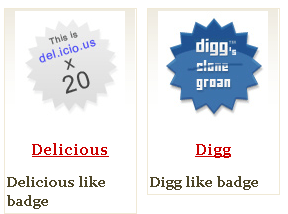 Web20Badges is a set of free and very cool web badges. They are probably one of the most popular trend in Web 2.0 time. It’s most over-used trendy little design technique in our days, they immediately attract visitor’s attention. Web badges have various round or square corners and eye-catchy colours. 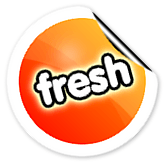 FreshBadge – Quickly freshen up your site/blog, sales page, or scrapbook with your own uniquely designed, and very web 2.0 “fresh badge”! This is perfect if you are looking for a free way to make a very high-quality logo for you website. you can create many variations until you get just the right combination of color, font, gloss, glare and shadow. 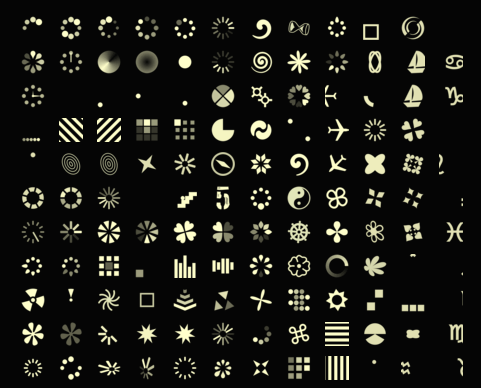 You even have your choice of shapes: retro flower, sawtooth seal, rounded flower, or circle. AJAXLoad – Generating the ajax indicator at run time by selecting the indicator type,for color, and back color. LoadInfo options for it’s loading icon are background and foreground color and three predefined sizes which are 16×16, 24×24 and 48×48. Chimply is in Beta stage but it has also a nice collection of categorized Ajax loading icons. Common settings include background and foreground colors and it’s width. Many advanced options will appear depending on what type of preloaded you are going to select. Tired of pixel-by-pixel painting, trying to create seamless stripes textures? Stripe Generator that make stripes for tiled backgrounds on the fly. If anyone knows how hard and time-consuming it is to make tiled stripes, this website will knock your socks off.